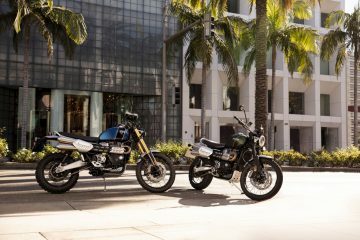 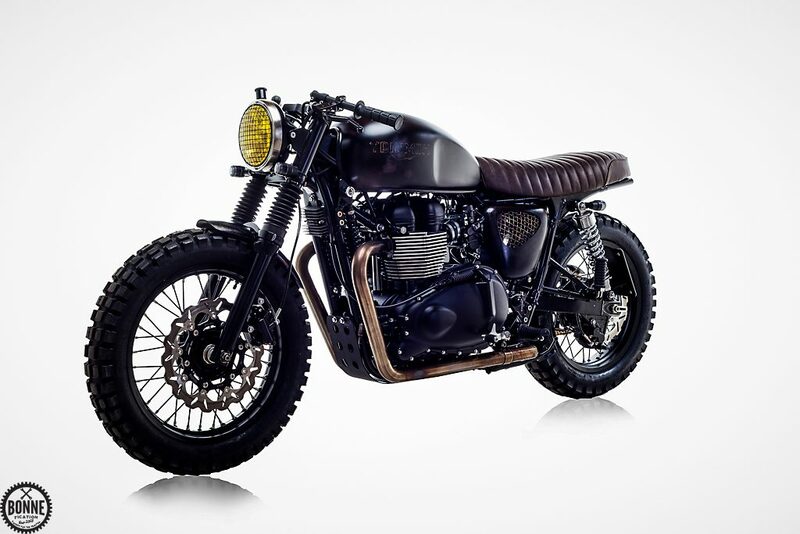 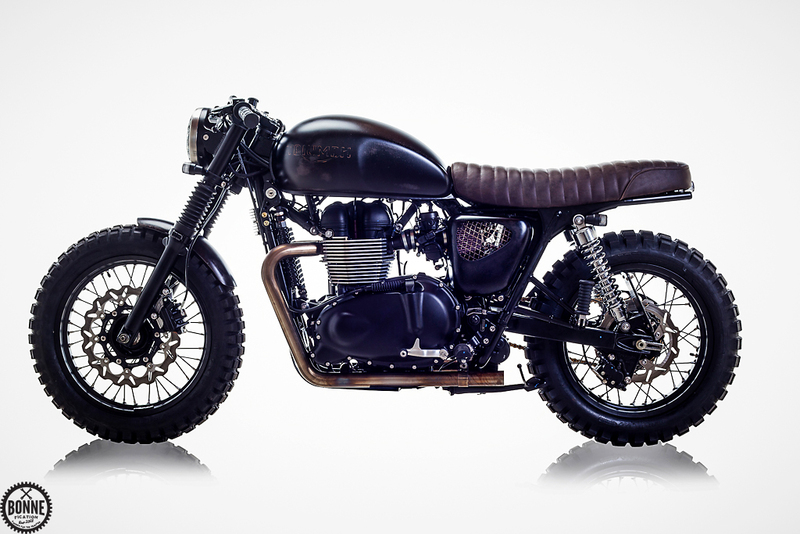 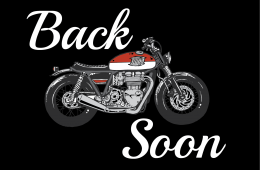 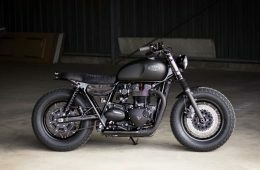 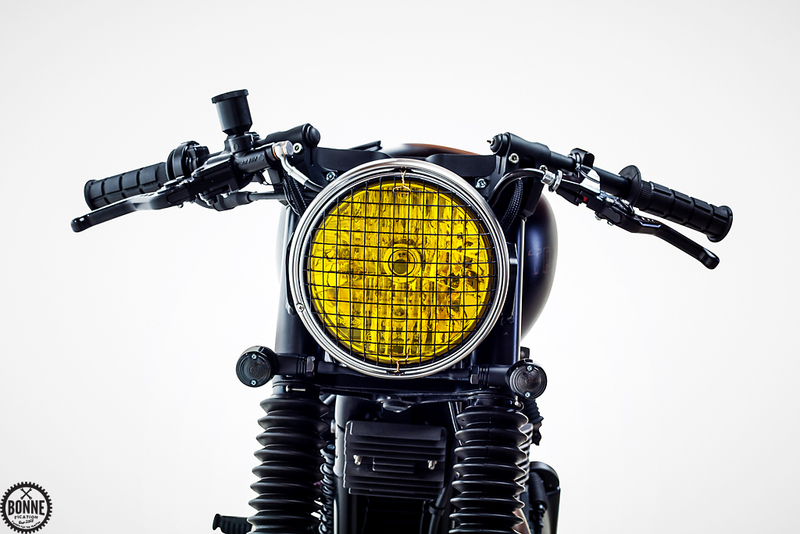 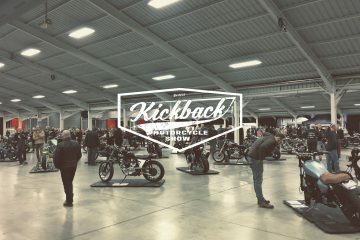 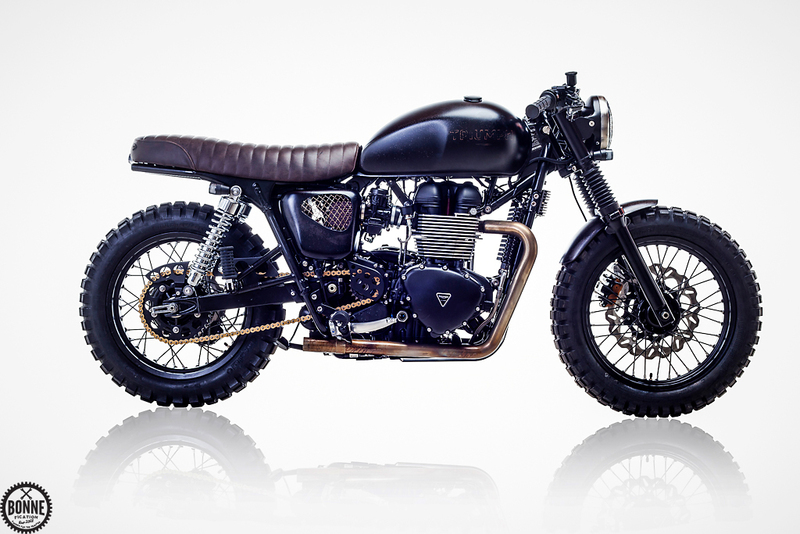 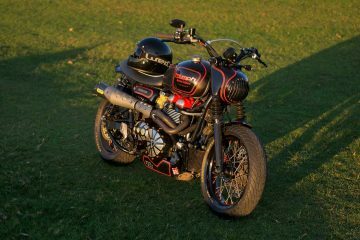 In June of last year Bonnefication ran an exclusive revealing the story behind the Triumph Bonneville T100 riden in David Beckham’s hit BBC documentary Into the Unknown. 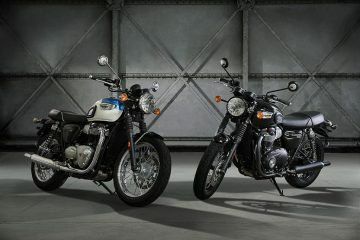 Three bikes which were built by Triumph UK especially for the documentary, though did you know David in fact rode all three T100’s? 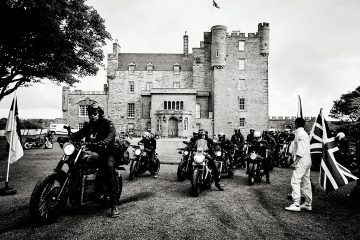 – Recently David has been filmed astride two more Triumph Twins which co-star along side, and underneath (steady ladies) David in the surreal short Movie ‘Outlaws‘ in which David is cast as ‘a mysterious drifter and motorcycle stuntman‘. 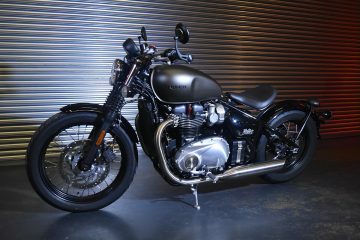 Clearly David Beckham is a big fan of the Triumph Classic, but only unofficially, its not something Triumph can shout about. 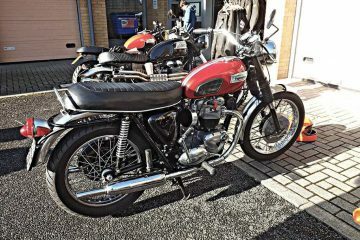 But this doesn’t stop David getting involved with Triumph, who I imagine he has built up a good relationship with over the last few years. 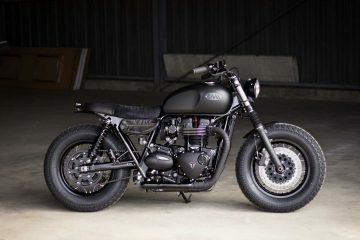 It was Triumph (U.S.) who commissioned British Customs to build David’s latest Triumph Twin which you see pictured here. 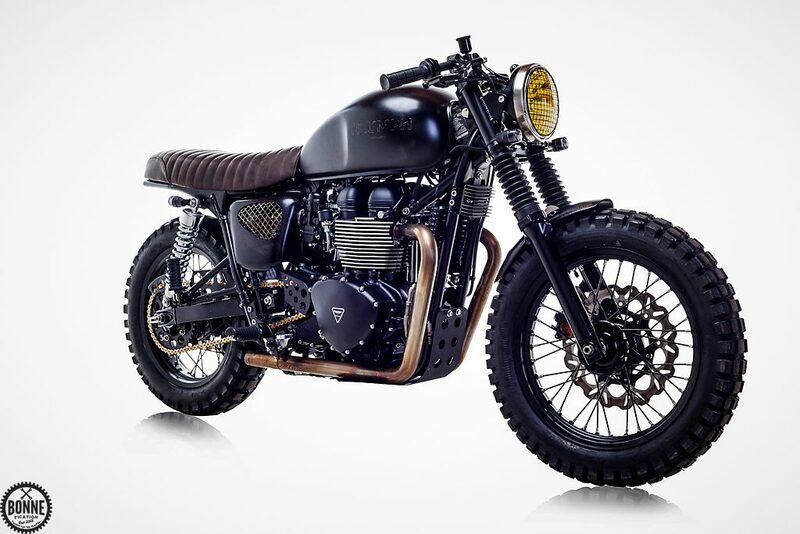 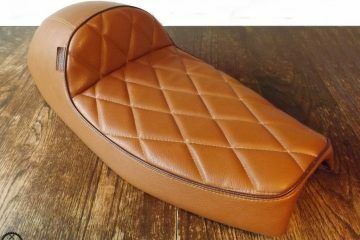 The guys at British Customs were given the task and general Idea of what David wanted, and after seeing the BBC 1 Documentary they had a plan to build something which had the sprit of the Amazon with Cafe Racer style preferred by David. 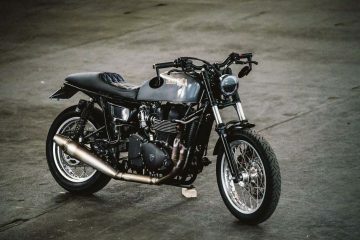 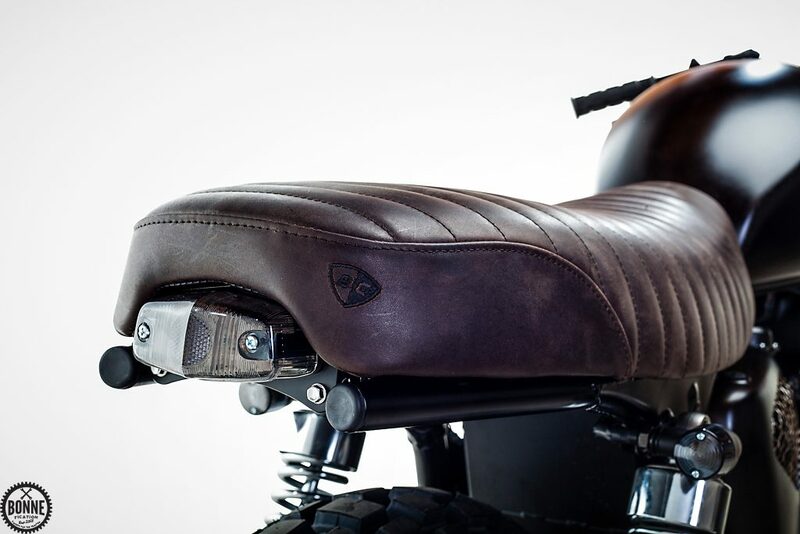 A plan which saw the birth of the CafeScrambler, a build which features a host of British Customs aftermarket goodies including a one-off slammer seat and burnished Drag Pipe Exhaust, which the guys at British Customs dipped in used motor oil and took a torch to. 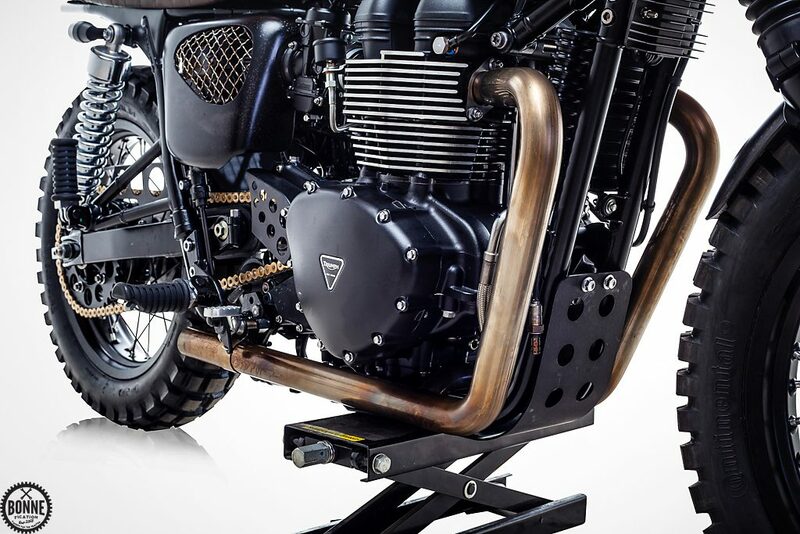 The Drag Pipe were then combined with an Airbox Elimination Kit, Air Injection Block off Plugs, with the engine getting Stage 1 Street Cams and a remap all of which gave this Twin a significant performance increase. 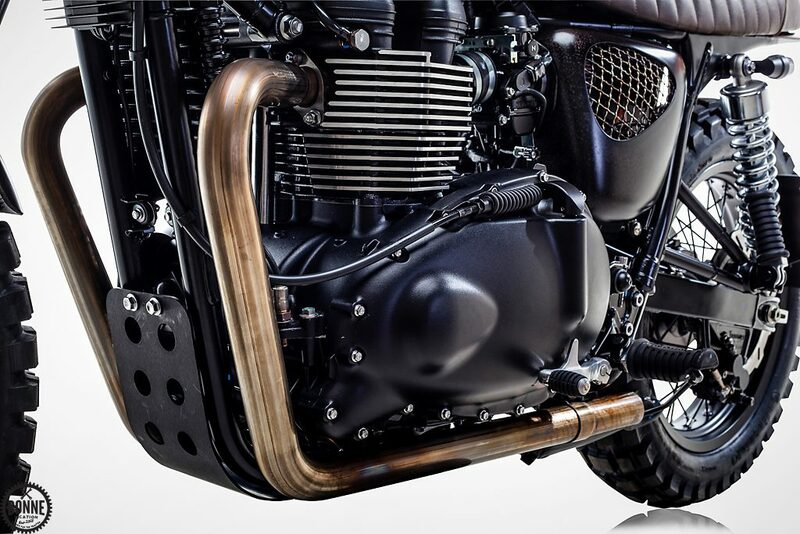 Though once Mr Beckham had seen the bike he chose to have the pipes wrapped using Thermotec exhaust wrap. 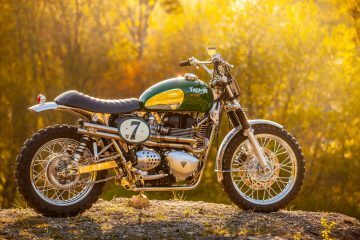 To give this Triumph Twin that off-road look, the super popular Continental TK80’s were fitted, tyres which the guys at British Customs prefer having used them on and off road with great success. 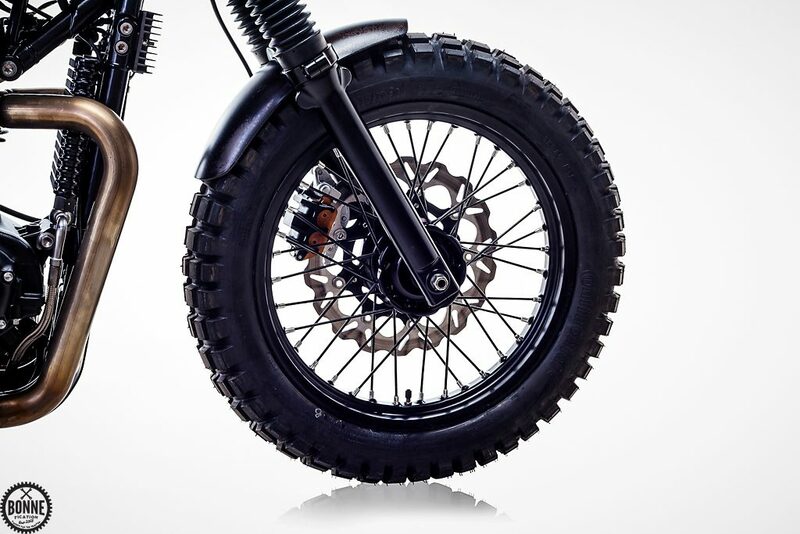 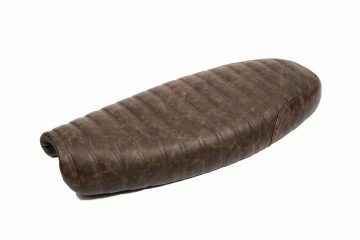 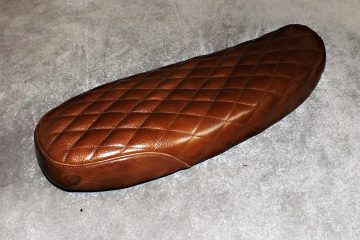 Though again when the bike was delivered to Mr Beckham he chose to swop these for a set of Firestones. 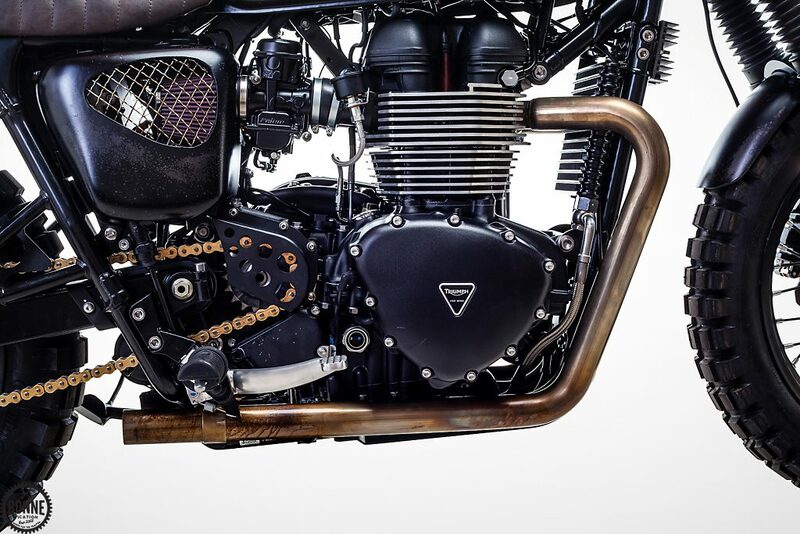 Another cool feature on this build apart with the custom meshed side covers are the British Customs triple clamp which allows the fitting of the Motogadget Mini speedo which when combined give you an uber clean and clutter free look which is perfect when using clip-ons – bars which have been fitted with Pazzo Racing Levers, British Custom Roady Grips and SEE SEE switches all topped off with a British Customs Direct Reservoir Kit. 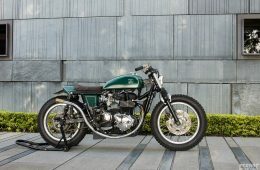 Now if I continue this article will end up just being an advert for British Customs excellent range of goodies, So I’m going to end it there, but if you wish to learn more of what was used on the build you can check out the build spec here – and in case you were wondering, David didn’t receive the bike fitted with the stock shocks, these were later upgraded to Hagon Nitro Piggy Backs. 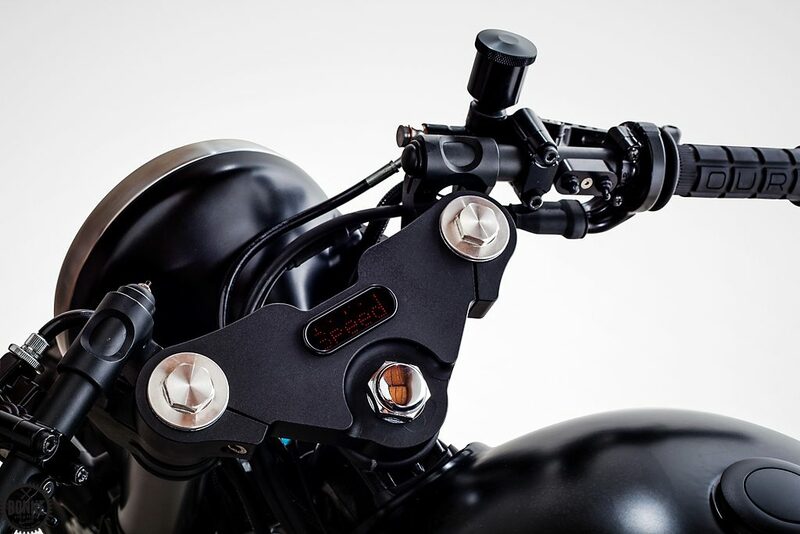 Can anyone tell me why in picture 50 the O2 sensor is just chilling outside the pipes. Curious to what the ECU will do when you start this baby up like this? 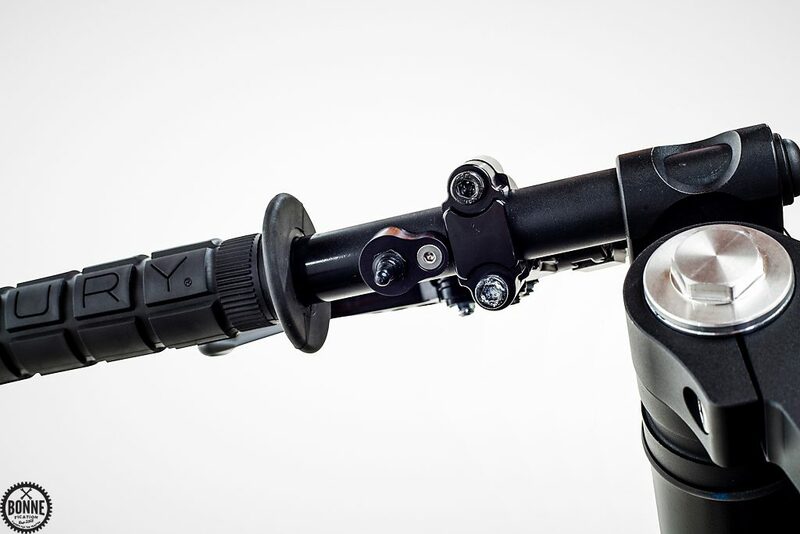 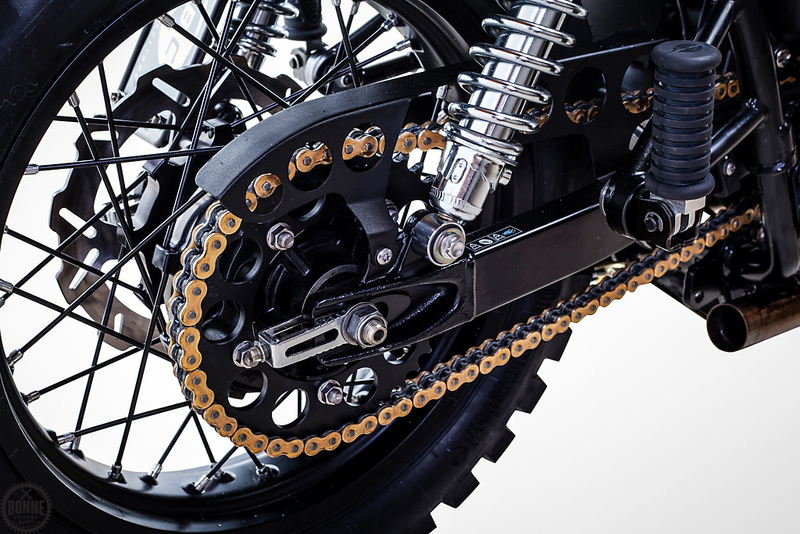 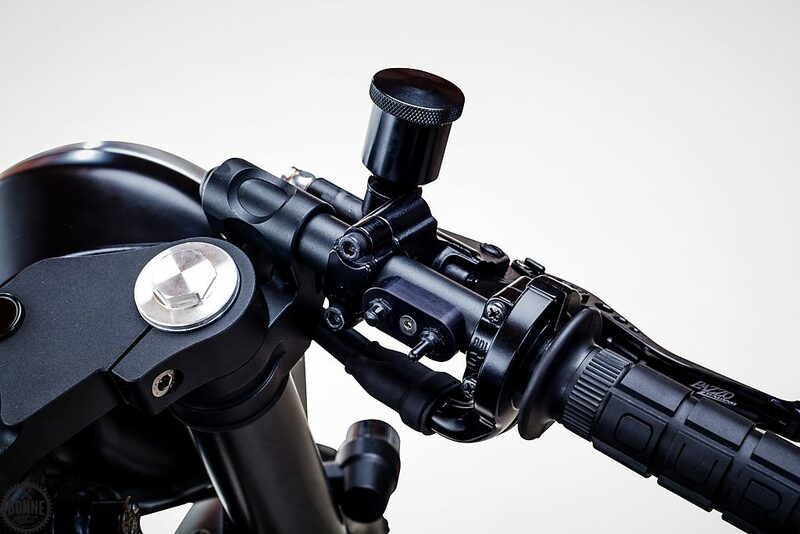 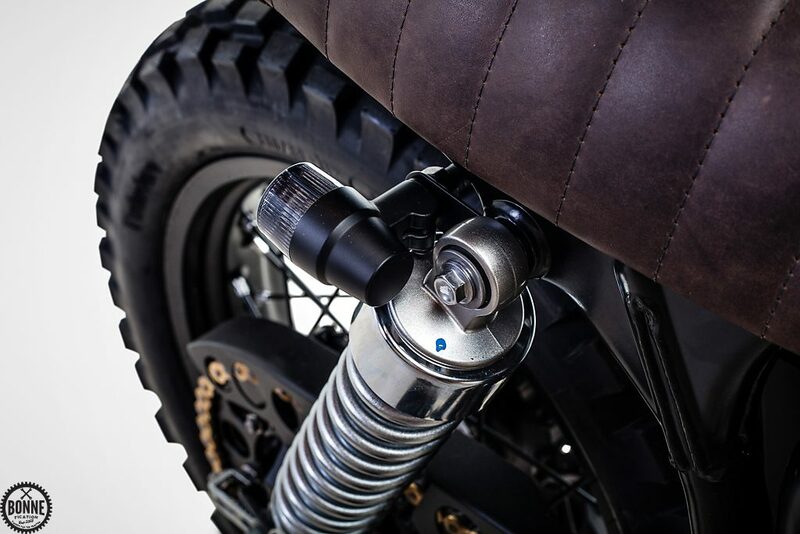 The rear shocks on the bike are the stock items, combined with the O2 censor no being fitted suggest that when the bike was photographed it wasn’t finished.